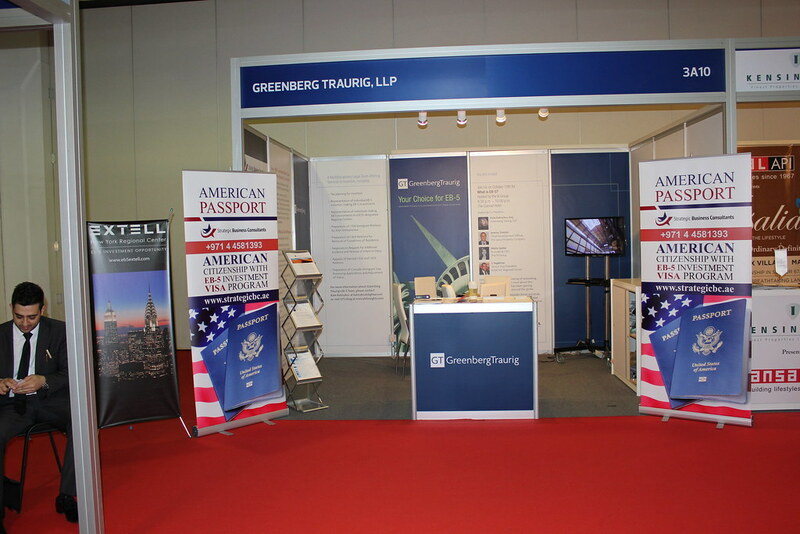 Kate Kalmykov of Greenberg Traurig recently traveled to Dubai to attend industry conferences and events. 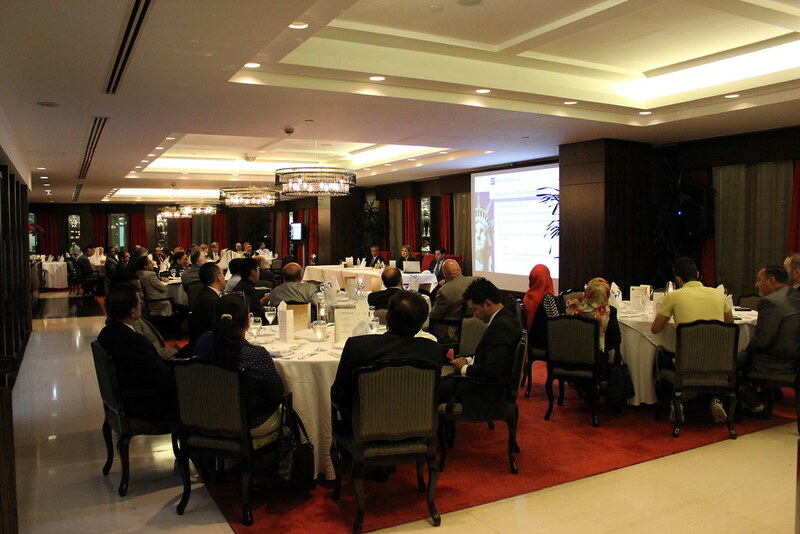 During her trip, she was a co-panelist at an event, “What is EB-5?” hosted by Strategic Business Consultants. The event was an informational and networking dinner held at the Capitol Club that drew EB-5 industry leaders from around the globe. 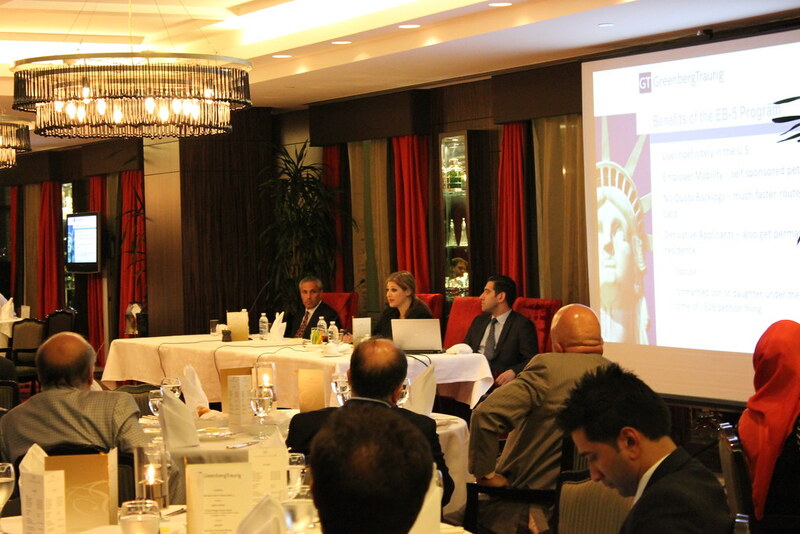 The dinner included a panel discussion that covered various components of the EB-5 Immigrant Investor program and included representatives from Extell New York Regional Center, Manhattan Regional Center and Janus Property Company, in addition to Kalmykov. Check out a few pictures from the event below! Kate Kalmykov addresses an interested crowd at the networking dinner. Greenberg Traurig and Extell New York Regional Center were represented at the event. Kate Kalmykov participates on a panel discussion as part of Strategic Business Consultant's "What is EB-5?" event.